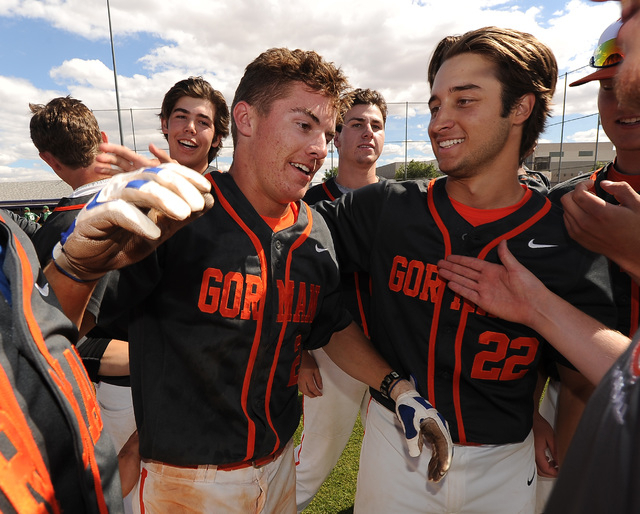 Before Gino DiMaria became the baseball coach at Bishop Gorman this season, he knew Cadyn Grenier’s reputation as a player. It didn’t take long for Grenier to convince his new coach that his game was more than hype. Grenier changed games with his bat, glove, speed and arm strength, and was a big reason the Gaels won the Division I state championship this spring. For his efforts, Grenier is the Review-Journal’s state player of the year. 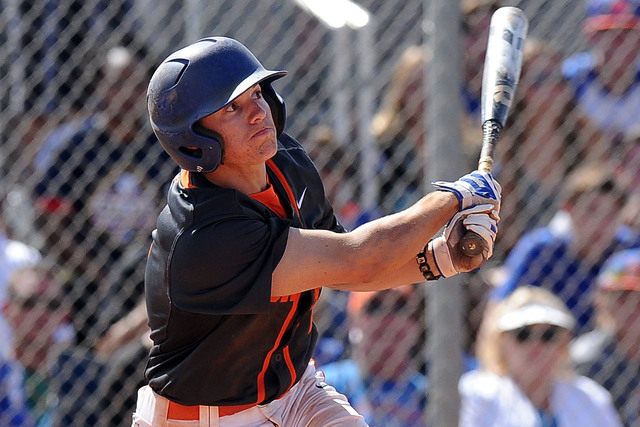 Grenier, named the Gatorade Nevada Player of the Year on Thursday, hit atop the Gorman lineup all season and consistently produced. 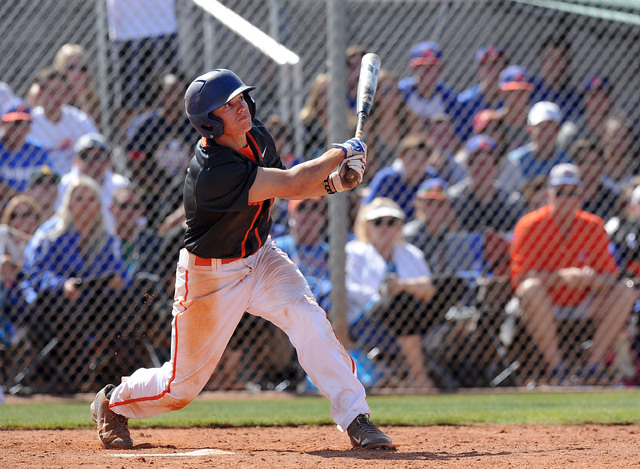 He posted a .596 on-base percentage, helping jump-start many big innings for the Gaels. “I’ve always believed our leadoff guy is the most important guy in the lineup, because as he goes we follow, and Cadyn was perfect,” DiMaria said. Grenier batted .472 and showed plenty of pop with 13 doubles, five triples and six home runs. He drove in 35 runs and scored 66 in helping the Gaels compile a 32-3 record. DiMaria credited Grenier’s patience at the plate with making him a strong table setter. Grenier walked 31 times in 35 games, helping him boost that on-base percentage. Once he was on base, his legs made him a threat. Grenier stole 27 bases. Grenier also was an asset in the field, flashing excellent range and showing a strong throwing arm as he often made difficult plays look routine. Grenier, who has signed with Oregon State and is ranked among the top 200 prospects by Baseball America for the major league draft, also impressed DiMaria with the way he approached the menial tasks, such as field maintenance. Grenier also brought a will to win. In the state championship game, the Gaels rallied for four runs in the seventh inning to tie the game and force extra innings. Grenier then won it in the ninth with a solo homer to right field. “When it comes time for that big moment, he’s the perfect guy you would want there, and he went ahead and got the job done,” DiMaria said.